Nintendo today revealed a whole lot of new information detailing the extensive multiplayer modes in Kid Icarus: Uprising. They also fired over a huge batch of screens and a trailer showing it all off. 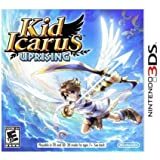 Consumers who pre-order Kid Icarus: Uprising via GameStop, Best Buy and Amazon.com will receive a bonus download code for the 3D Classics: Kid Icarus game, a re-mastered 3D version of the NES original. The download code will be given to customers who pre-ordered Kid Icarus: Uprising at the time of the actual game purchase. Retailers may require a deposit for pre-orders. Kid Icarus: Uprising will carry a suggested retail price of $39.99 in the United States.